In Luke 1:57, Elizabeth bears a son, and all of their friends and relatives rejoiced with her. On the eighth day, they came to circumcise him, according to Mosaic Law (Genesis 17:12, Leviticus 12:3). Everyone fully expected the child to be named Zechariah after his father, but when Elizabeth told them that his name was John, they appealed to Zechariah to make a sign – as he was still mute. When Zechariah wrote that the child’s name was John as well, he then became able to speak again, praising God. This event, together with the very fact that this couple beyond child-bearing years now had a son, spread news and wonder throughout the hill country that God’s hand was surely involved. This child, they knew, was going to be special. Zechariah, filled with the Holy Spirit, began to prophesy and from verses 68-79, he says a great deal about his son and his calling, as well as the coming savior, that he would not have known without such divine guidance. In verse 69, the “horn of salvation” that God has raised up is of course, Jesus. The horn was a symbol of strength and power, and is referred to in many Bible passages, including Hannah’s song in 1 Samuel 2. In the ensuing verses, he continues to speak of this salvation in terms of the covenant with Abraham and his descendants. In confirmation of just how special this child was to be, verse 80 tells the reader that he “grew and became strong in spirit, and he was in the wilderness until the day of his public appearance to Israel.” John the Baptist would wait for his calling from the Lord. 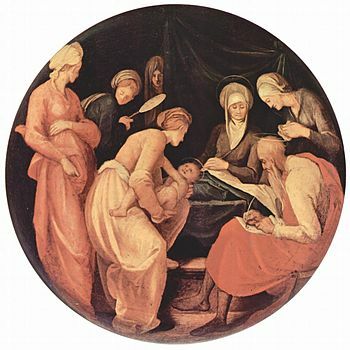 Verse 26 of Luke chapter one begins ” in the sixth month,” which refers to the time following Elizabeth’s conception of John the Baptist. Note that the description of Nazareth’s location by Luke is further evidence of his intended Gentile audience. Any Jew would know very well where Nazareth was. The angel Gabriel was sent by God to a virgin named Mary, who was betrothed to Joseph, of the house of David. Betrothal in those days was nothing like the sense in which we imagine such a term. Rather, it was a negotiated agreement that was binding upon both the bride and the groom to the extent that they were legally and religiously married in all respects – except that of living together. Gabriel told Mary, who did not “know a man,” that she would bear a son by the power of the Holy Spirit and the “Most High” (verse 35), and name Him Jesus. 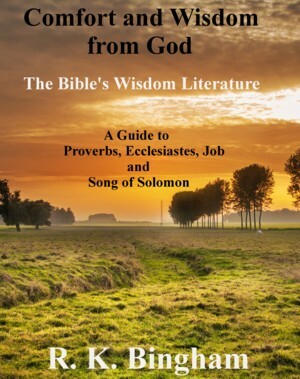 This reference to God as “Most High” (Elyon, used seven times in Luke) is seen first in Genesis 14:18-20 when Abram met Melchizedek, and was used quite often thereafter – seen often in the Psalms, Numbers 24:16, and Daniel 3:26, and 4:24,34. He also told her some very important things about Jesus: 1) that He will be called holy – the Son of God, 2) that God will give Him the throne of David, his father, from which He will reign over the house of Jacob forever and 3) that of His kingdom there shall be no end. Before he left, Gabriel told Mary of the pregnancy of her elderly relative, Elizabeth, which was his offering of a sign for Mary’s encouragement in what he had told her. Mary went to see her relative, and when she arrived, we are told that Elizabeth’s baby (who was filled with the holy Spirit) leaped for joy in her womb at the presence of the Lord – providing yet another affirmation for the Christian of the sanctity of life in the womb. Mary stayed with her for about three months before returning home. Verses 47-55 contain Mary’s song – a psalm of praise to God that has come to be known at the “Magnificat” – a title which comes from the Latin translation. 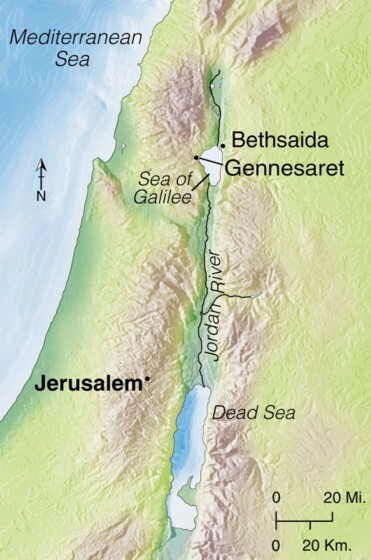 Side note: In verse 39, when Mary went to see Elizabeth, the text says that she went “into the hill country to a town in Judah.” We do not really know where in that area it actually was, but traditional belief widely held is that the home of John the Baptist was in Ein Karem, about 5 miles west of Jerusalem. There is an interesting article with some pictures of the area in this feature at Ferrell’s Travel Blog. Malachi is the last book in our arrangement of the Old Testament, the last of the “minor prophets,” and the last time God will talk to His people through them for about 400 years – when he sends His son, our Lord Jesus Christ, to fulfill His plan of salvation for us. The name translates to “my messenger” but some believe it may be the shortened form of “Malachiah,” which means “messenger of the Lord.” Since there is some foreshadowing of the arrival of John the Baptist (as in Malachi 3:1, which says “Behold, I send my messenger, and he will prepare the way before me”), some consider it word-play on the prophet’s name. Some estimates of the date are about 460 B.C., making him a contemporary of Ezra and Nehemiah. The temple reconstruction was completed about 516 B.C., and the time was after that, as Malachi 1:10, 3:1, and 3:8-10 clearly allude to an existing temple. But the date may actually be a bit later than that, as the times were somewhat different. The good news is that God’s people finally seem to be rid of the scourge of idolatry here. The bad news is that they are spiritually weak, if not practically dead. They were apathetic toward their worship, and insulted the Lord with their offerings of lame and diseased animals (Malachi 1:6-8). 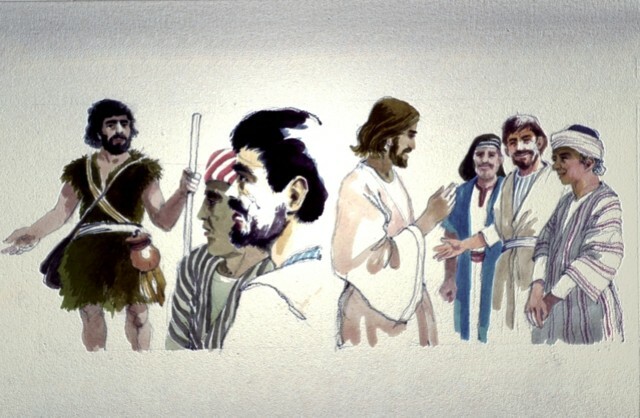 John the Baptist preaches in the wilderness, preparing people for Jesus’ coming as the Messiah — Matthew 3: 1-12. But that is just the beginning of the things that Malachi points out for which the people need to repent. They are divorcing their wives to marry foreign women – again disregarding the law given against doing so (Deuteronomy 7:1-6). Malachi 3:6-12 speaks of how they are robbing God by not honoring their tithes. And one thing certainly had not changed. 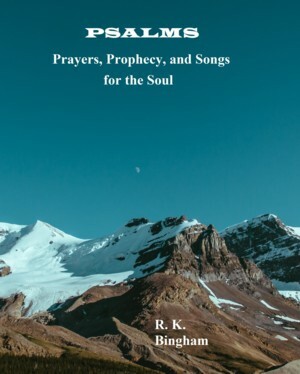 The people were still plagued by bad leadership, for the priests were to blame for much of this – and they are certainly addressed and rebuked throughout he book. Malachi’s message from the Lord is that He demands real worship – not simply going through the motions, as they were doing. It was time for God’s people to step up and serve the Lord as their part of the covenant demanded. 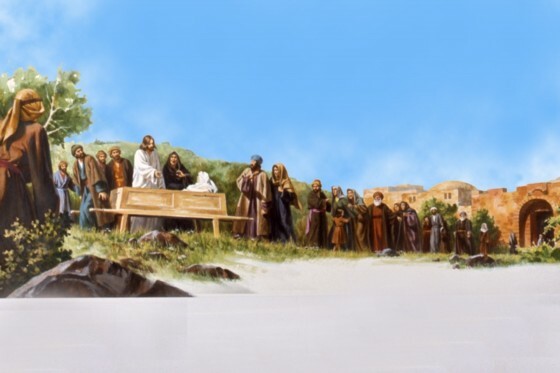 Here, we have another account of Jesus returning to His hometown. Verse 5 simply means that their lack of faith prevented him from doing many mighty works. Indeed, His own family had already believed him to be out of His mind (Mark 3:20-21). In verses 7-13, He sends out the apostles, giving them authority over the unclean spirits, and to heal. In verses 14-16, we find Herod Antipas leaning toward the belief that Jesus must be John the Baptist raised from the dead – perhaps because of fear from his own guilt in John’s death. Verse 17-29 detail the death of John the Baptist, as his pronouncement of lawlessness on Herod’s part (he had committed adultery by marrying his brother Philip’s wife, Herodias) cost John his life in an ugly and inhumane act of murder (verses 27-28). Verse 30 takes up when the apostles return to Jesus, and tell Him all that they had done. He takes them to a “desolate place” by boat to get away from the crowds and to rest. But people were already waiting for them when they came ashore. In verse 34 He “had compassion on them, because they were like sheep without a shepherd,” and began teaching them. The disciples wanted to send them away so they could eat, but Jesus told them that they would feed them. This time, there were five thousand men, plus women and children, and they fed them with five loaves of bread and two fish; and they took up twelve baskets full when everyone was full (verse 43). Two hundred denarii in verse 37 was about 200 days worth of a laborer’s wages. Jesus sent His disciples ahead to Bethsaida by boat, as He dismissed the crowds and went up to the mountain to pray. But they were making their way “painfully” because of the wind, and Jesus began walking out to them on the water about the fourth watch (between 3:00 and 6:00 a.m.). When they saw Him, they thought it was a ghost, but He told them not to be afraid – “it is I.” As He got in the boat, the wind ceased. Mark explains that the hardness of their hearts kept them from seeing who He really was, despite the miracle of the loaves or seeing Him walk on the sea with their own eyes. Verse 53 seems to indicate that the wind had taken them southwest of Bethsaida to Gennesaret. As He came to the villages, cities and countryside, word had spread of His arrival; and people brought the sick to Him. “On their beds” in verse 55 would indicate some gravely ill people being brought. Contrast verse 5 with verse 56. Many just wanted to touch the fringe of His garment, believing that would heal them. That faith made it so. Luke 7 – Who Is This? A centurion was a Roman soldier in charge of a hundred men. This one was a friend to the Jewish people (see verses 3-5). When Jesus went with the elders to go to heal the centurion’s servant, he sent people to meet Jesus along the way, and told him not to trouble Himself. Verses 6-8 show his faith in Jesus was strong enough to believe that his servant would be healed simply by Jesus saying so. Jesus’s statement in verse 9 “I tell you, not even in Israel have I found such faith” foreshadows the welcoming of Gentiles into the kingdom. When a widow of Nain lost her only son, Jesus raised him from the dead, a mighty miracle — Luke 7: 11-17. His compassion for the widow whose son had died (his death would also mean economic hardship for her) causes him to bring her son back to life in front of a great crowd of people, including those carrying the body. Imagine the fear among them as he sat up and spoke! His fame grew even more as verse 17 says “this report about him spread through the whole of Judea and all the surrounding country.” As word spread back to John the Baptist, he sent two disciples to go and ask Jesus point-blank if He really was the Messiah. Apparently, even John was expecting a very different savior than this. After they witnessed Jesus healing numerous people (verse 21), he sent them back to him quoting from Isaiah 35:5-6 and 61:1. 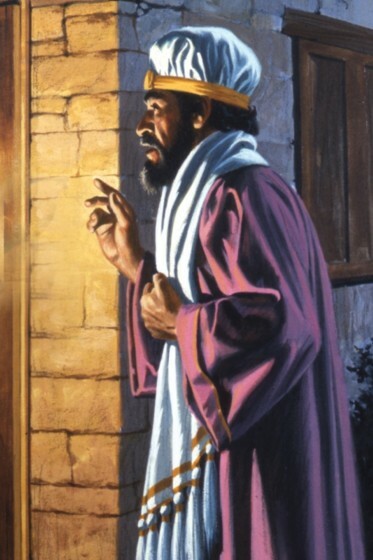 Nicodemus was a Pharisee. 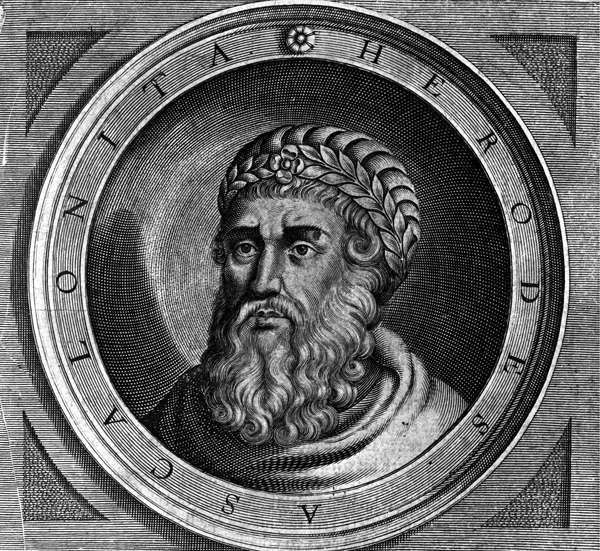 Verse one says that he was a “ruler of the Jews,” which would make him a member of the Sanhedrin – the Jewish governing council. In fact, one of the other two places he is mentioned is in John 7:50, as there is division among them concerning arresting Jesus. Nicodemus states his belief that Jesus is sent from God because of the signs that he did, confirming that Jesus did many more miracles than were written in the gospel, as John states in John 20:30-31. Nicodemus seems to be trying to understand what Jesus means by being born again in a physical manner. But Jesus is speaking of being re-born by the Spirit by way of baptism (Romans 6:3-4, Colossians 2:12-13). 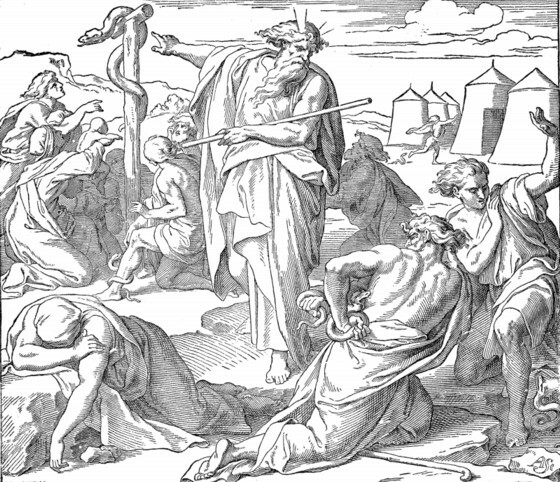 In verse 14, Jesus refers to Moses lifting up the Bronze Serpent in Numbers 21:5-9 to save the people when they had spoken against God; and gives Nicodemus a preview of His crucifixion, which likely he would also not understand – yet. He will repeat this reference to being lifted up in John 8:28 and John 12:32-33. Verse 16 is one of the most famous of the New Testament, and most Bibles that put the words of Jesus in red assign verses 16-21 as His words. But many scholars believe that these verses are actually John’s inspired words, and the fact that he speaks of God having given His son in the past tense seems to bear that out. In any case, these verses are joined with verse 15 in such a way that together they well represent the message of the gospel concerning salvation. The phrase “God so loved the world” followed by the other references to the world are often overlooked in their significance – not only for salvation being open to all, but the declaration of God’s love for all the world, not just the people of Israel. It is no coincidence that the text immediately jumps to the baptism being done by John the Baptist (who is not yet in prison in this part of the gospel) and now by Jesus and His disciples (verses 22-26). John’s disciples note that people are going to Jesus for baptism now, and John reminds them that he himself told them that he is not the Christ, but had been sent before him. And in verse 30, says “He must increase, but I must decrease.” John had done what God had sent him to do. 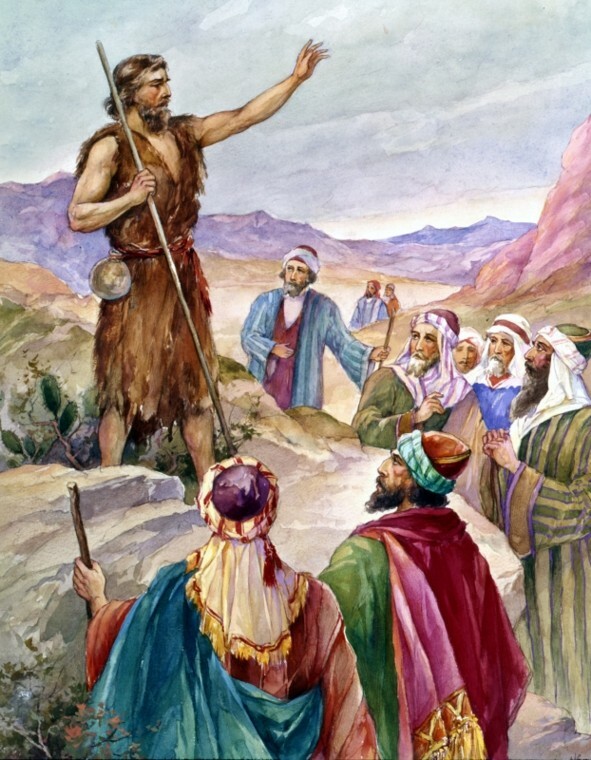 Matthew chapter 3 begins with John the Baptist preaching in the Judean wilderness, telling everyone to “Repent, for the kingdom of heaven is at hand” – which Jesus Himself will proclaim as well. John’s manner of dress in verse 4 is distinctly similar to that described of Elijah in 2 Kings 1:8, and that appearance, as well as the diet described, were common to the desert people, who would also be the poorer people of the land. This new and increasingly well-known prophet was attracting much attention from the people, and the religious community (see John 1:19-38). In verse 7, both Pharisees and Sadducees were coming out to watch his baptisms – no doubt with bad intentions toward him. 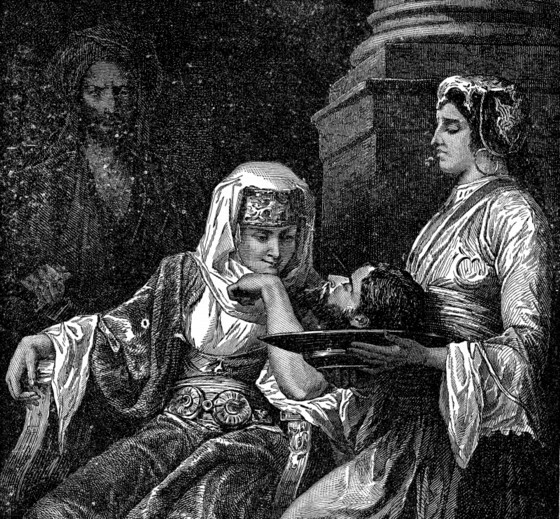 The word “Pharisee” means “separated one,” and they were the more popular of the Jewish sects of the times. Many seemed very self-righteous, and imposed strict adherence to teachings and “rules” that were not commanded by God’s word. The term “Sadducees” came from the sons of Zadok, who was the high priest during the days of David and Solomon (1 Kings 1:32-34). They were known as aristocrats and political opportunists; and they had much political power. 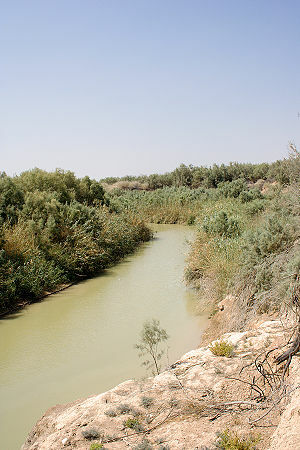 Baptism had been required of Gentiles converting to Judaism, but now John was preaching and performing baptism (immersing people in the river Jordan) for repentance – a term not only for remorse and confession, but also for “turning” one’s thinking, way of living, and even one’s mind around to different way. As verse 3 confirms that John is the one prophesied in Isaiah 40:3, he is preparing the way for Jesus to be revealed to Israel (John 1:31). When Jesus comes to have John baptize Him, John is reluctant because he knows He needs no repentance. But Jesus reminds him in verse 15 that it was God who had told John to start baptizing people in the first place, and how he would know that Jesus is the Son of God (John 1:31-34). John gives first person account of that in those verses. Luke, who also wrote the Book Acts, addressed this book specifically to Theophilus, who was likely a government official (note the way that he refers to him in verse 3). As it opens, it has been 400 years since Malachi prophesied. 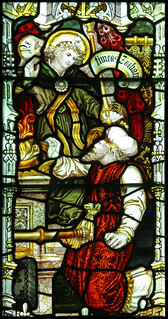 John the Baptist’s father, Zechariah, was a priest. In those days, the priests were separated in divisions, each of which served for a week – except during times of major feasts, such as Passover or the Feast of Tabernacles. Zechariah was chosen by lot to serve in the Temple (verses 8-9). Zechariah (as he and his wife Elizabeth were childless and advanced in years) had no doubt prayed often for a child. An angel of the Lord appeared to him and told him they would have a son, and that his name would be John. He was not to drink wine or strong drink, and would be filled with the Holy Spirit “even from his mother’s womb” (indicating he would then already be a human person), and would “make ready for the Lord” (verses 11-17). Also, jumping ahead to (verses 41-44), upon Mary’s visit, Elizabeth’s baby leaped for joy in her womb. Both as a rebuke for his unbelief, as well as the sign he asked for, the angel Gabriel told Zechariah that he would be unable speak until his son was born (verses 18-23), and Elizabeth did conceive. The “sixth month” in verse 26 refers to the sixth month of Elizabeth’s pregnancy. At this time, the Angel Gabriel appeared to a virgin (Mary), who was pledged to be married to Joseph, who was of the house of David (verses 26-27). The reference to Nazareth being a city of Galilee is confirmation that Luke’s intended audience was unfamiliar with the territory. Mary is told that she would have a son and name him Jesus, that God would give him the throne of his father, David, and that “he will reign over the house of Jacob forever, and of his kingdom there will be no end” (verses 28-33). He also tells her of her relative, Elizabeth’s pregnancy. Verses 46-55 are Mary’s praise to the Lord, and are known as Mary’s song. When Elizabeth bore her child, the neighbors expected them to name him Zechariah after his father, but she insisted that he would be called John. Not satisfied, they tried to get Zechariah to give them a sign (since he still could not speak). He wrote on a tablet that “his name is John,” and immediately he could speak again – because then all that the angel of the Lord had said to him previously had come to pass. Verses 65-66 indicate that the word of this miraculous birth and Zechariah’s change became famous very quickly. Zechariah’s prophecy in verses 67-79 verify that the fulfillment of God’s promise to his people through Abraham – and the Messianic age – had indeed begun! Side note: Excavations at Nazareth by archaeologists have located tombs, olive presses and other indications that it was a small agricultural community. The most interesting discovery of the past few years is that of a first-century house there. 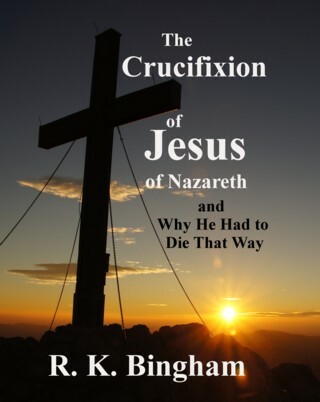 A very good article on this discovery can be found at this article at BiblePlaces.com. Andrew, Peter’s brother, heard John the Baptist speak. They became disciples of Jesus. Peter, along with James and John formed the inner circle of Jesus’ disciples. “And the Word became flesh and dwelt among us, and we have seen his glory, glory as of the only Son from the Father, full of grace and truth. John moves swiftly from this powerful and awesome account to the testimony of John the Baptist. In verses 29-34, this John identifies Jesus as the “Lamb of God” – which they would not yet fully understand – and gives evidence of his own special revelation that he received from God, concerning His son. In verses 19-23, John the Baptist,appearing before the priests and then the Pharisees, denied that he himself was the Christ, or Elijah. “The Prophet” that they ask him about could be a misunderstanding by them of the promise of a “new prophet like me” to lead them, which Moses spoke of in Deuteronomy 18:15-16. He leaves no doubt in verse 23 though, that his baptism is to prepare the way for the Messiah, as he clearly states that he is the one referred to in Isaiah 40:3. The chapter ends with Jesus calling the first of His disciples, some of which He undoubtedly already had a relationship with. But Nathanael marvels that he knows him, and realizes that He truly is the Son of God (verses 48-49) because of it. Jesus tells them that they will see much greater things to come. Verse 51 is a very clear reference to Jacob’s dream in Genesis 28:12.